Everybody involved in community woods is warmly invited to join us for a unique opportunity to connect and learn with other people and woodland projects. This event is open to anyone running or setting up a woodland social enterprise. 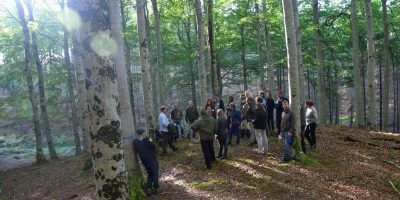 The event is set in the inspiring location of Garvagh People’s Forest – providing an opportunity for tailored, in-depth conversation on the topics most important to you. Format: The event will take place mostly outdoors around a fire. There will be a shared lunch and a chance to walk, talk and listen. This is a networking event for woodland projects, rather than a family fun day. However there will be some child friendly activities (such as a treasure hunt and den-making) supervised by experienced volunteers. Please wear waterproof coats and shoes for damp ground. If it rains hard, we will move undercover. Thank you: This event is free because it is supported by Making Local Woods Work: a BIG Lottery fund project led by the Plunkett Foundation. The event also celebrates the European Day of Sustainable Communities.